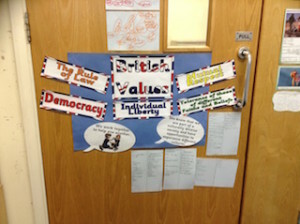 To find out more about Rush Common School’s Values-Based curriculum and the teaching of British Modern Values at our school, please read the documents below. As part of our work linked to our school value of tolerance, children at Rush Common School took part in a ‘Racism Awareness Day’ at the end of Term 5. They all considered the topic of racism and thought about what we could do as a school to ‘stamp out’ racism in the world today. 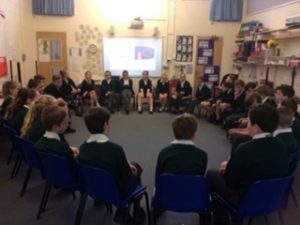 Year 6 were asked to discuss the EU referendum with their families before holding a debate about whether or not Britain should leave the EU. Children were incredibly articulate with their thoughts and views. They were able to cite evidence that they had heard on the news or read in government documents. They were then able to write a well-informed, formal balanced argument with argument phrases, evidence and well explained points around issues such as: jobs abroad, national safety, national identity and the British economy.